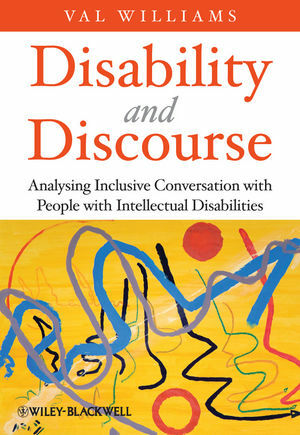 Disability and Discourse applies and explains Conversation Analysis (CA), an established methodology for studying communication, to explore what happens during the everyday encounters of people with intellectual disabilities and the other people with whom they interact. Val Williams is a Senior Research Fellow at the Norah Fry Research Centre, University of Bristol, UK – a leading centre for research into services for people with intellectual disabilities based on a social model of disability. Her work concerns the barriers faced by adults with learning disabilities, with particular emphasis on inclusive research and analysis of naturally-occurring communication. 2 Some Building Blocks for Analysis. 3 Challenging Disempowering Patterns of Talk. 4 Supporting Someone to be Competent. 6 Equalising Talk and Friendliness. 7 Doing Autonomy: 'It's entirely up to you'. 9 Self-Advocacy Talk: The personal to the political. 10 Supporting People to Speak up in Group Situations. 11 Being Interviewers with the Label of 'Intellectual Disability'. 12 Behind the Scenes in Inclusive Research: 'We are the artists of our lives'. 13 Talk about Labelling and Identity. 14 Reflections on Doing Analysis.